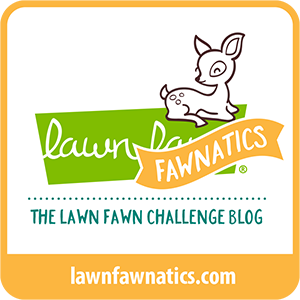 I am so excited to be here with you today, sharing a project I've made for Inspired By All The Little Things Challenge Blog! I am so honored to have been chosen as this week's Creative Guest Designer by my good friend Veronica Zalis, one of the Design Team members for this challenge. So here is this weeks photo inspiration! As you can see, I was inspired by the woodsy look. 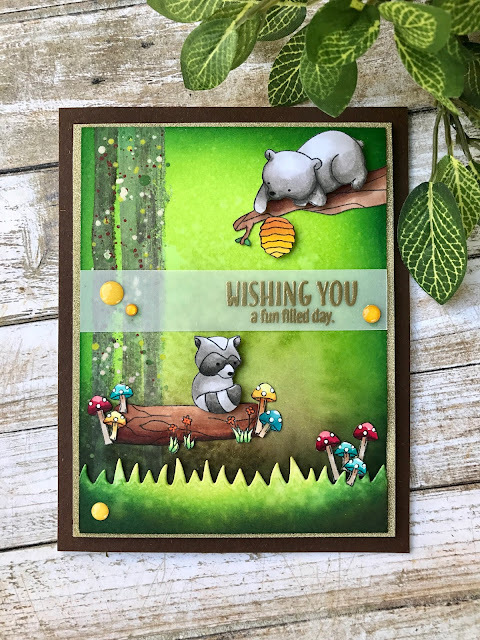 The trees, greenery and mushrooms were incorporated into my creation, then I added critters from the WPlus9 Curious Forest Friends for some extra fun in the forest! I heat embossed the sentiment in gold on vellum and glued it down across my panel and added some cute glittery enamel dots to cover the glue! So what do you think of those cute little mushrooms? I love them, but would advise strongly against picking them! 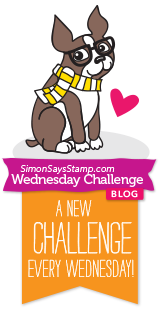 I hope you'll join me this week over at Inspired By All The Little Things Challenge and create something to share! Thanks for joining me today and for commenting on my project! Oh how adorable! Thanks for being our guest this week at Inspired by all the little things! Congratulations on being featured at Inspired By All the Little Things! Your card is fabulous! I love how you were inspired by the photo to create such a wonderful scene! Oh, my! This is gorgeous, AJ, and I absolutely LOVE the magic of this forest scene! You've truly captured the inspiration photo! WOW! You are so gifted, sweet friend! Hugs! Hi Amanda, thank you for being our guest this week! 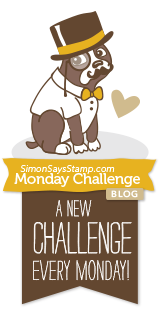 Your card is totally awesome...love this sweet set you used for this challenge! What a wonderful scene! I love the way the light seems so shine in the background with your inking. I absolutely adore the fabulous scene you created for your card. I'm so glad you could guest with us this week! Adorable card! Love the scene you created! So glad you could join us as a guest designer! Totally love your sweet woodland scene! That set was a perfect choice! So happy to have you guesting with us this week! LOVE all the green in your card! Thanks for guesting with us at Inspired By! What an amazing card! Thank you so much for the inspiration over at Inspired by all the Little Things!